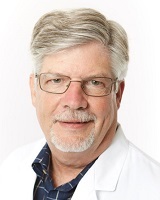 A graduate of the University of Tennessee, Dr. MacConnell received his medical degree from Texas Tech University. After completing residency in Huntsville, AL he moved back to his home state in 1988. He and his wife have raised their three children in Gallatin. He enjoys following his Tennessee Vols and supporting the Nashville Predators. His hobbies include travel and photography.